Sorry for my absence. I never thought it would be so difficult to find wifi while traveling. Right now I’m on a train to Florence, so I thought I’d take some time to post some random (crappy) photos I’ve taken with my iPad thus far. Hopefully I’ll have Internet at my hotel tonight, and I’ll post more interesting bits then. 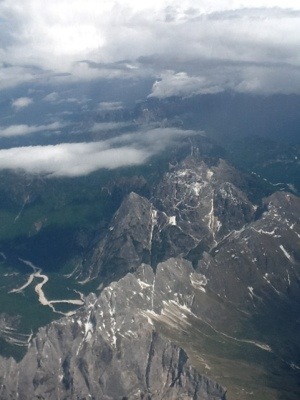 My awe inspiring view from the plane between Munich and Trieste. 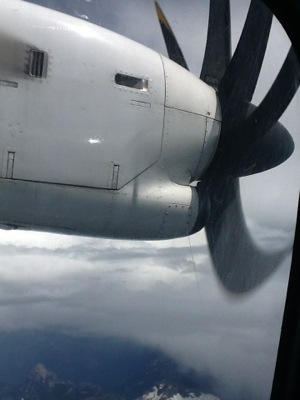 The propeller was moving faster than the human eye could see, so I loved that the iPad could capture it. 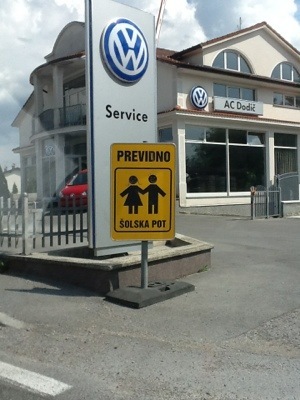 A sign in Slovenia. Can you see the graffiti smiley faces? The garden at my friend’s house in Croatia. 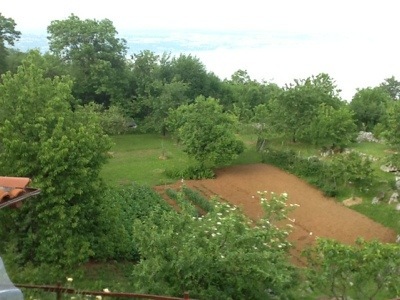 The large plot is the vineyard, and there are cherries, peaches, figs, chestnuts, and hazelnuts (my fave) as well. Beyond the treeline is a steep slope down to the town and from there the ocean in the distance. 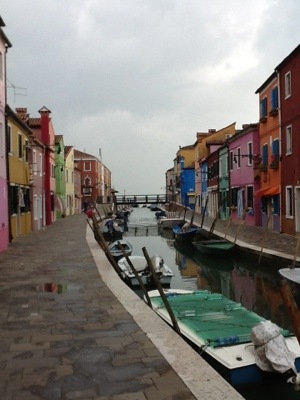 Evening in Burano. All of the townspeople are heading to the main street for wine and gossip. 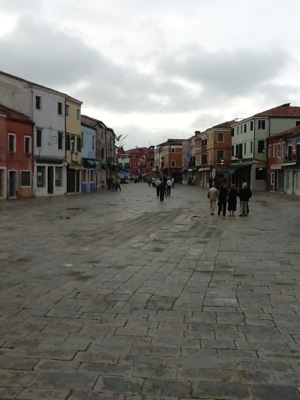 Another view of Burano towards the ocean. All of the houses are candy colored, and so neatly kept. Most of the houses also have curtains over their front doors, as well. I loved the additional pop of color and pattern this made along the streetscape.